Have you thought that works in yellow are always fluffy and sweet? No way! This artwork proves this! This idea from Gunn-Eirill is a little bit dark but due to yellow elements that lighten it looks more energetic and optimistic. 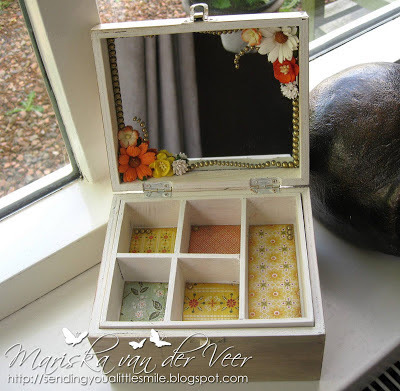 This box was made by Mariska. 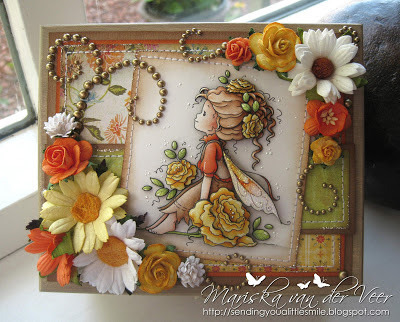 The theme is Sunshine, used the sun as inspiration. The white dots are white Liquid Pearls and the wings have a layer of Diamond Stickles on them. 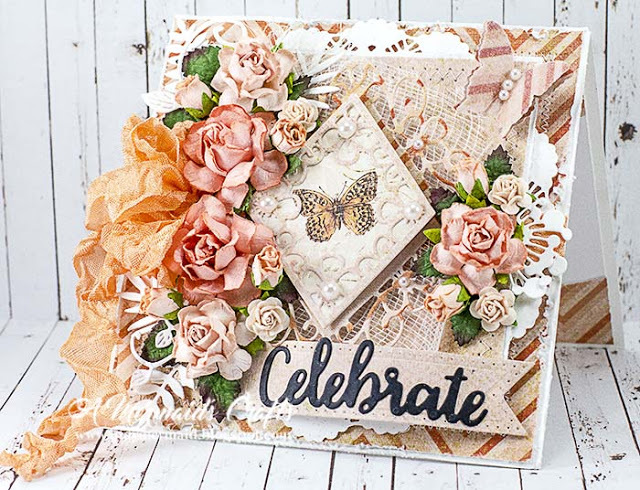 The inside of the box was painted white, the outside got an extra layer of Tim Holtz Distress Paint Frayed Burlap, she also used the Frayed Burlap ink to distress the edges of the papers and image. 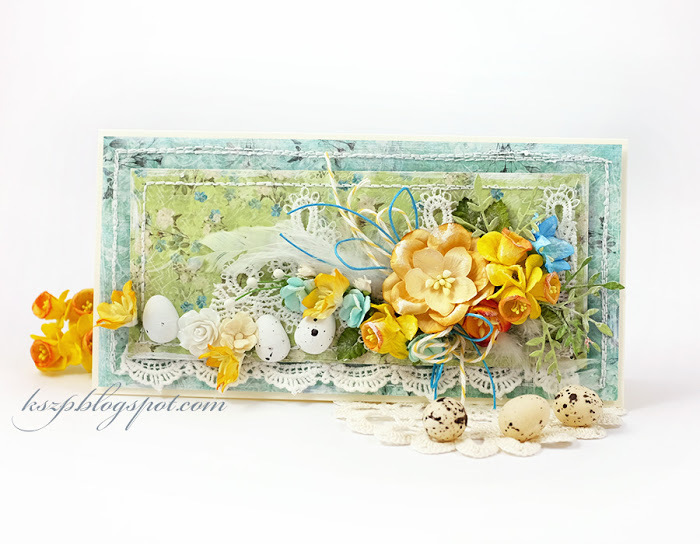 Lisa made this Easter card using a lot of Trellis Roses, Chelsea Roses, Lilies, Sweetheart Blossoms, Daffodils, Tulips and Hip Rosebuds. 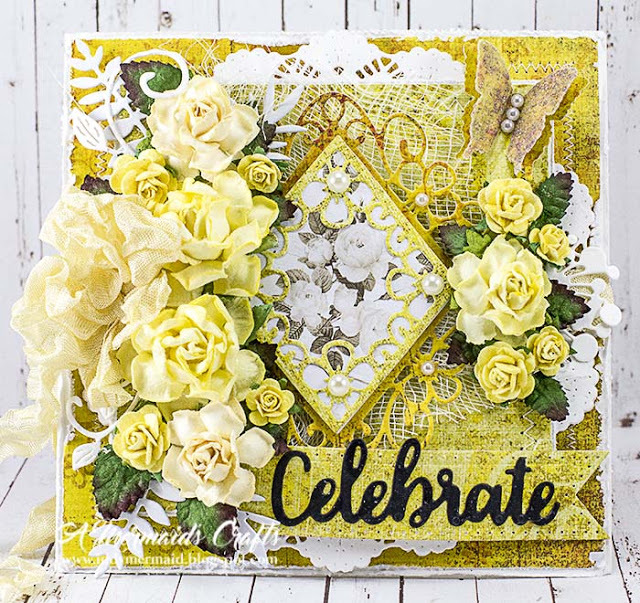 As all Lisa's projects this card is full of embellishments which makes this card to look very rich. Stunning! A Spring Easter Bunny from Monika. First she painted a wooden bunny with some gesso and added a pattern with a mask. 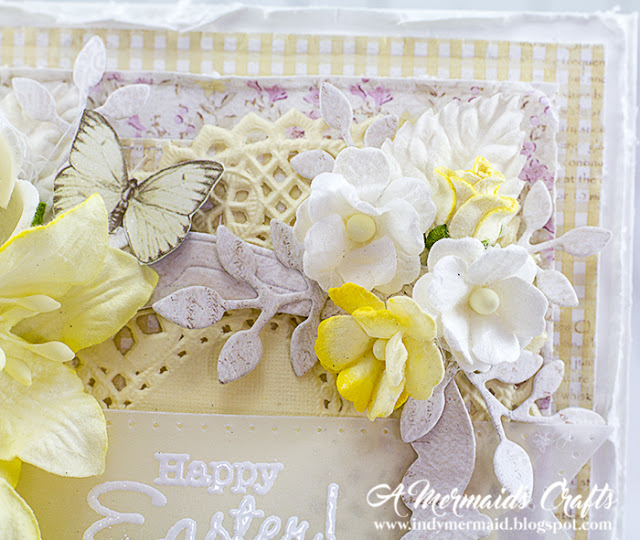 To make the flower arrangement look more natural she adhered some sissal fibre, then she added a diecut, yellow magnolias, sweethearts, tulips and cherry flowers. 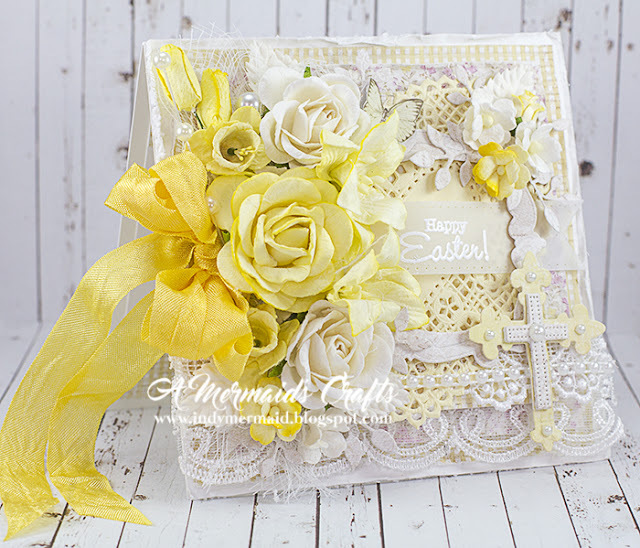 She also used some white leaves and vintage seam binding ribbon. Another peace of art from Lisa. 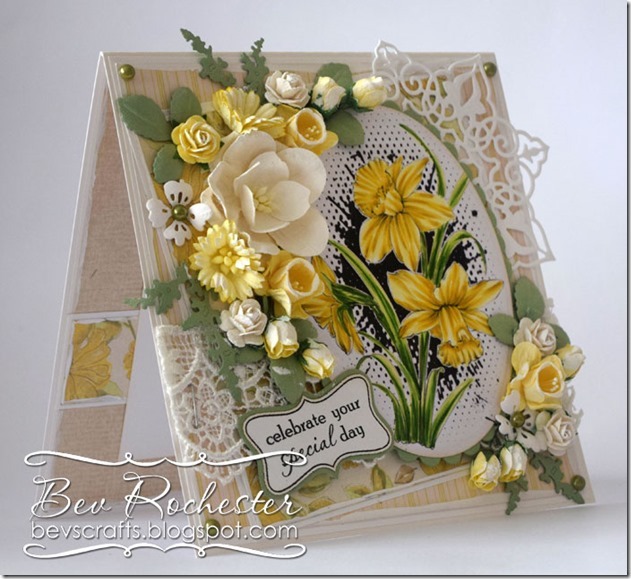 For these cards, she used Cottage Roses in two sizes, Open Roses in two sizes and Hip Rosebuds. This inspiration comes from Bev. 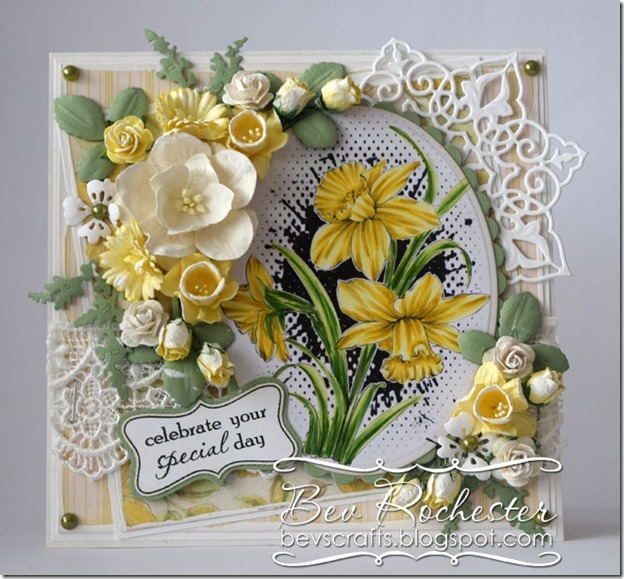 She used daffodils, aster daisies and roses to make this beautiful, elegant card. You can give this card as a wedding gift! Would you like to share with us your ideas?